Say “No”. Don’t hesitate to say “no” to people. When you say “yes” to one thing, you’re saying “no” to other things without realizing it. So err on the side of saying no because it allows yourself to create your career with intention. 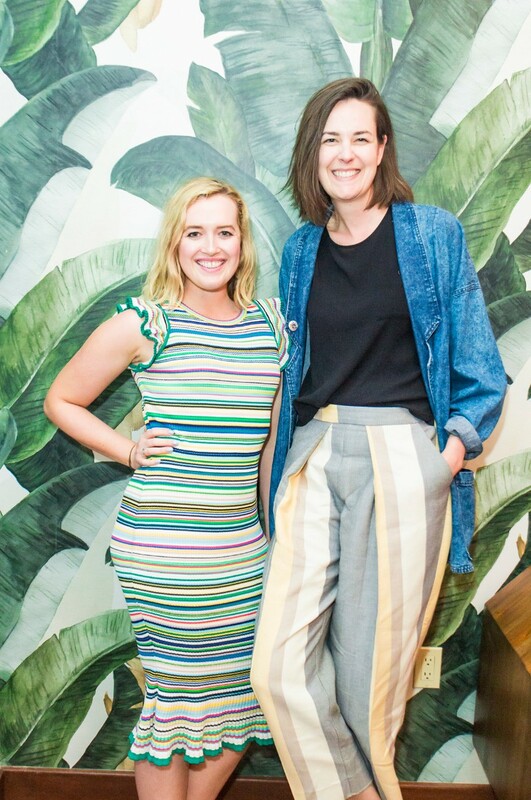 I had the pleasure of interviewing Simone McAlonen, founder of WAVE, a new private workspace and club for female identifying entrepreneurs within the historic Los Angeles Athletic Club. Something I think is really interesting is that creating this group has strangely mirrored my own personal career development. I was starting a new chapter in my career as I was starting this group, and there are some sort of meta-parallels between lessons I’d be learning at work while a similar subject was being explored amongst the WAVE community. I definitely wouldn’t say this was a mistake, but anytime you start a totally new business up, it really takes other people a minute to wrap their head around it. An example of this is I think the name WAVE has caused a little confusion. People really want this name to be an acronym, and I even toyed with the idea of making it stand for something, but ultimately decided against it. The name is a nod to the different waves of feminism, and also a nod to us being created specifically for Southern California. But it’s funny how people want to make it an acronym. 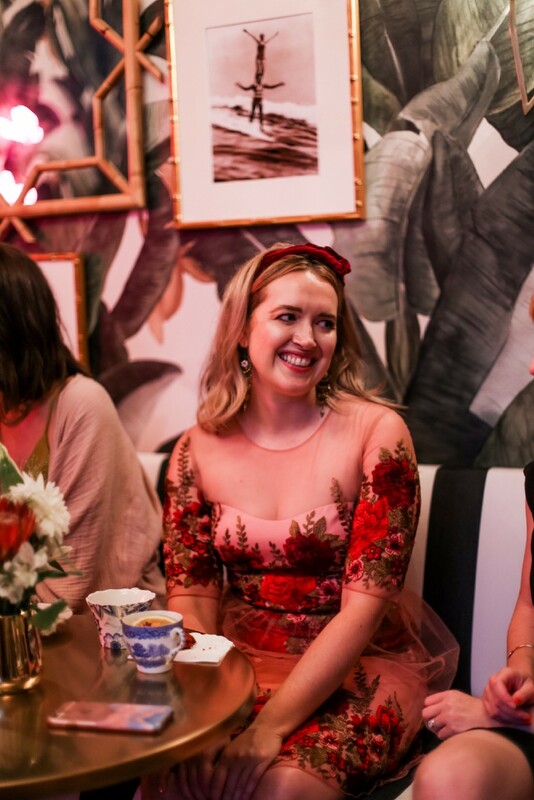 WAVE is really unlike any other women’s club because it’s perched inside of a pre-existing social club. This means that members of WAVE have access to an incredible amount of additional perks that the rest of The Club offers. This also gives them the opportunity to network with men or learn from men who are experts in any given field, once they leave their co-working space. 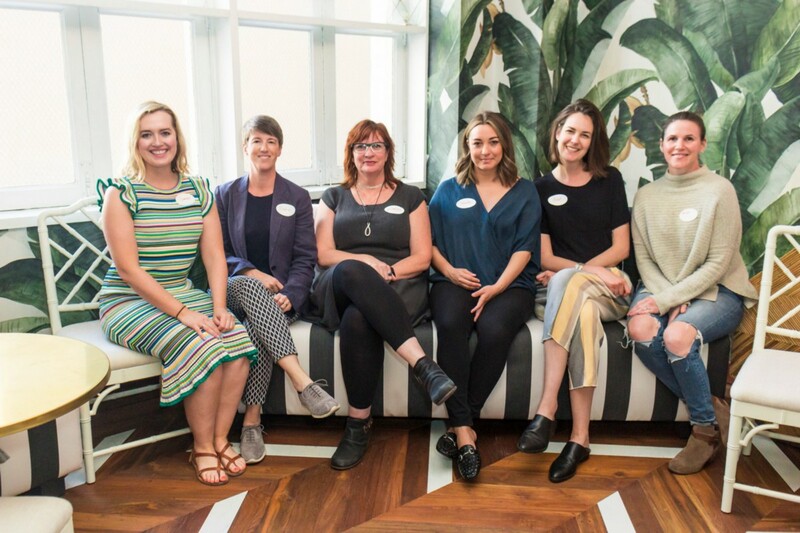 We also allow WAVE members to bring a limited number of male guests with them to the co-working space, which is pretty different from most women’s groups. I have some really exciting, really big plans for WAVE for 2019. 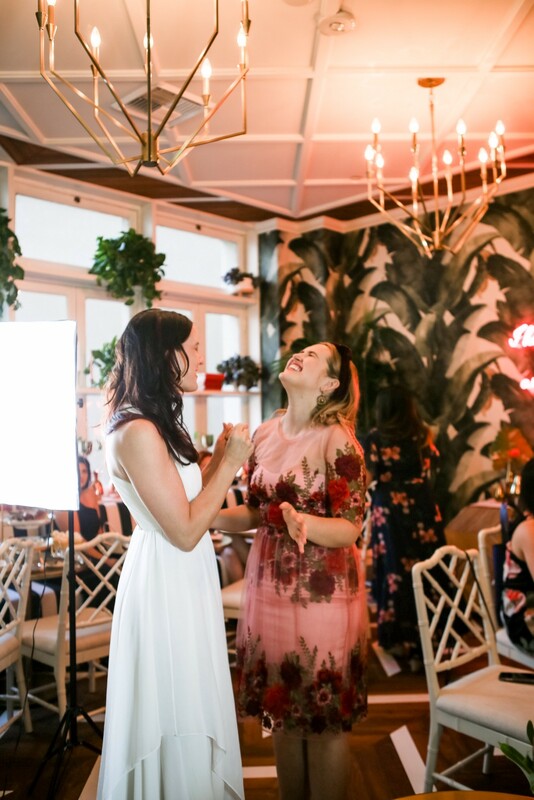 I can’t go into specifics yet, but a lot of these projects are really focused on highlighting the successes of women who are killing it in career paths that are not traditionally female. A lot of the programming for next year really involves women teaching other women their skills/knowledge. There’s really nothing better than women helping each other. I think being a strong leader requires you to have a strong vision about where you are leading people. So, trust your vision, get really clear on it, then make sure you don’t compromise it. You can pivot, but make sure you are always aligned with your original intention. Yes! My boss Cory Hathaway actually. He is very supportive of my work and open to my vision for things and he gives me the space to make things happen. He greenlit this whole project and trusted me to put it together very early on in our working relationship, I think because he recognized my passion for it and saw the potential. 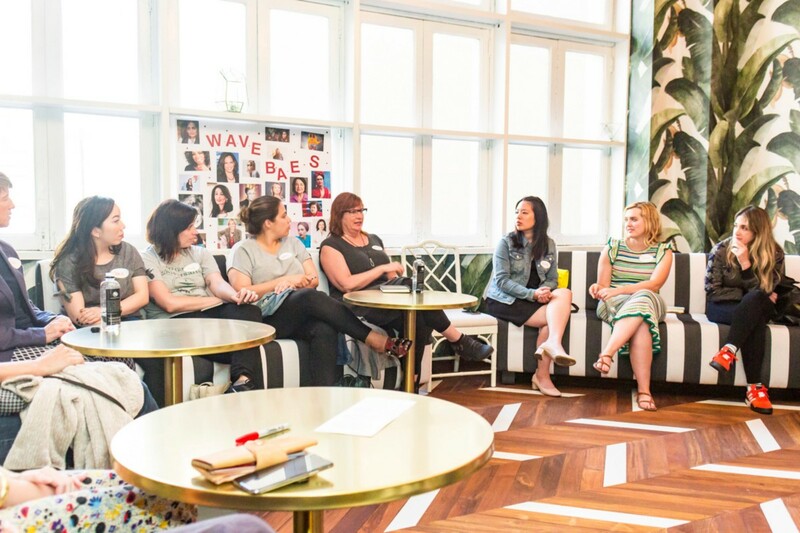 I feel like WAVE in and of itself is such a positive thing- it’s a community of women who are helping each other grow and it’s very exciting and powerful thing to be a part of. I want to help as many women as possible become as educated and powerful as possible, in whatever way they desire. Don’t hesitate to say “no” to people. When you say “yes” to one thing, you’re saying “no” to other things without realizing it. So err on the side of saying no because it allows yourself to create your career with intention. Fight for credit for the work you do. Establish your role/title before you begin working on the project. If you compromise your vision and you fail, you’ll always regret it. I define integrity as having your words, actions and intentions being in alignment. When you can live your life in integrity even down to small seemingly insignificant things, your actions give your words so much power. Go to therapy, meditate, work out, and have a full and fun social life. Living a healthy and joyful life will make your work more creative and better. I would want to encourage people to question everything they have been taught and really think for themselves. I think individuality is so important and our society could really benefit from getting away from so much of the “group think” that happens. My favorite kind of person to surround myself with is a rebellious free-thinker who challenges the status quo. I believe that thinking critically about your surroundings makes the world a better place. My favorite quote is, “If you want to tell people the truth make them laugh, otherwise they’ll kill you” by Oscar Wilde. Being honest and living an authentic life is really important to me, but I think it’s honestly a harder way to live so it requires a sense of humor! Oscar Wilde! But he’s dead. So, Oprah?